A total of 149.45 billion Naira was generated by states in third quarter of 2017, excluding 17 others which have yet to submit their Q3 report. 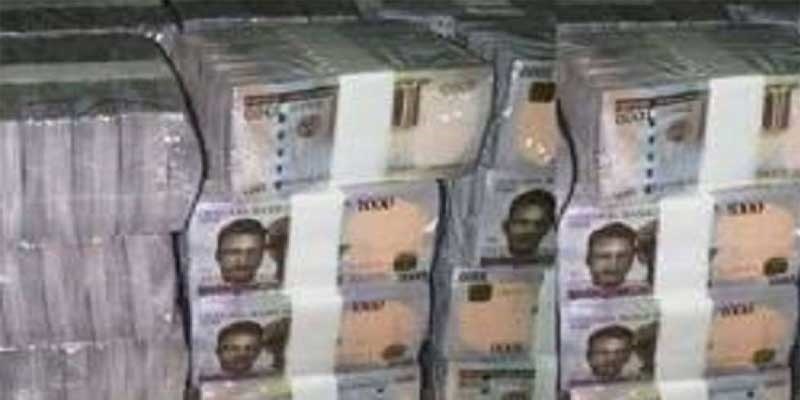 The National Bureau of Statistics, NBS on Friday released the Internally Generated Revenue figures for states of the federation for the period between July and September this year and it showed that 19 states generated a total revenue of 149.45 billion Naira. The report stated that Lagos State recorded the highest IGR, with 73.74 billion Naira, which is over 49% of the total revenue generated. One would have thought that one of these oil-producing-states would quickly follow Lagos but that was not the case. Instead, it was Ogun State which followed with 16.9 billion Naira. Delta came third with 13 billion in IGR followed by Kaduna with 6.3 billion Naira. Others include: Oyo - 5.6 billion Naira; Enugu, 4.7 billion Naira; Bayelsa, 4.3 billion Naira; Akwa Ibom, 3.3 billion Naira; Cross River; 2.83 billion Naira; Ondo, 2.7 billion Naira and Plateau, 2.5 billion Naira. Others are Osun, 2.4 billion Naira; Benue, 2.3 billion Naira; Imo, 1.6 billion Naira; Jigawa 1.6 billion Naira; Taraba, 1.5 billion Naira; Ekiti 1.3 billion Naira; Zamfara, 1.2 billion Naira and Yobe, 1.1 billion Naira. "A total of 149.45 billion Naira was generated by states in third quarter of 2017. This excludes Rivers, Sokoto, Nasarawa, Niger, Kwara, Kano, Katsina, Kebbi, Kogi, Gombe, Edo, Borno, Bauchi, Adamawa, Abia, Ebonyi and Anambra states, which have not yet reported their IGR figures for Q3 2017," noted the report. One will not help but wonder why oil producing states will not pursue ventures that will make their communities an attraction to companies who are more in Lagos and Ogun State. Economists believe that oil states which get high allocations should channel resources to improve power which would be an attraction to companies that will prefer to produce in such states and move products to Lagos State and other populated cities. Companies will shift to where cost of production is cheaper and the oil producing states have that potential if they will only focus on improving power and then roads.